The management of Lafarge Africa, recently celebrated its business partners for high performers, doling out gifts capable of supporting their business growth at customer appreciation awards ceremonies held in three cities of Gombe, Ibadan, and Enugu. 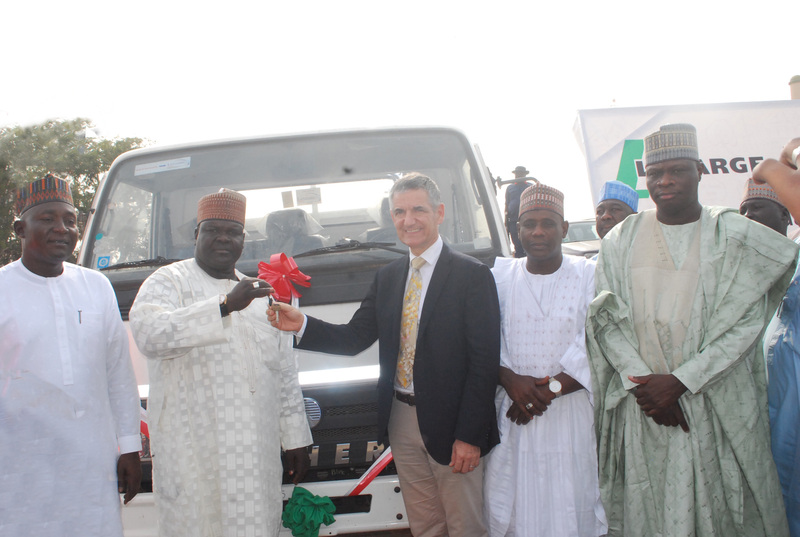 The outstanding customers went home with 11 tonne trucks, 5 tonne trucks commercial tricycles and an all-expense paid trip to Saudi Arabia, among others, for distributing the company’s range of products from Ewekoro and Sagamu in the South West; Mfamosing in the South-South; and Ashaka in the North East of Nigeria. Based on set target for each customer category, dealers who exceeded the targets were rewarded with 18 units of 11tonne trucks, four units of 5-tonne trucks while the next level of subdealers were rewarded with 60 cargo tricycles, and all-expense paid trip to Saudi Arabia. The winners expressed appreciation for the awards and prizes received; reaffirming satisfaction with the support they get from Lafarge Africa and stated their commitment to continue to work to deliver maximum results for the company. A statement by the company on Monday said the 2018 awards is a major landmark, which coincides with Lafarge Africa’s 60th year of sustainable business practice in Nigeria. The company which pioneered commercial cement production in Nigeria, started operations in 1959, as West African Portland Cement Company, WAPCO) and has played a significant role in building homes, offices, roads, bridges, monuments and cities across Nigeria. At the awards ceremonies, the company reiterated its commitment to support the business growth of its trade partners. “As partners in progress, we will work closely with all our partners to ensure their business grows in a very sustainable manner. We will also support our customers with tools and training initiatives to develop their human capacity as well as their business processes,” he added. Speaking at the awards in Gombe, the Country Chief Executive Officer, Lafarge Africa, Michel Puchercos expressed appreciation to all the distributors for their remarkable performance in keeping the Lafarge range of products as one of the top brands in the market. “For your commitment to results through the years and in 2018 in particular, Lafarge Africa says a big thank you and we look forward to a more fruitful year in 2019. Your efforts have helped the company maintain its market position and the brand continues to enjoy the trust and respect which it has built with Nigerians over the years. This year, we are set to change the way we do business by empowering our customers to become partners. To achieve this Lafarge Africa has embarked on a business Nigeria transformation project which is aimed at improving operating efficiencies and interactions with our customers for a mutually beneficial relationship. Our new strategy has started to deliver results and we are on a new path of profitable growth,” he said.